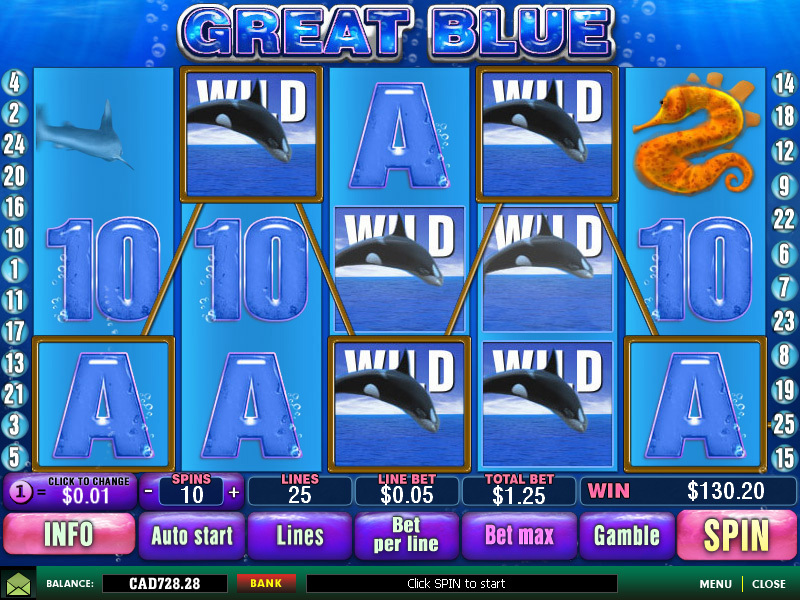 Great Blue is a great Playtech slot, one of my favorites, but I like most slots that have stacked wilds. 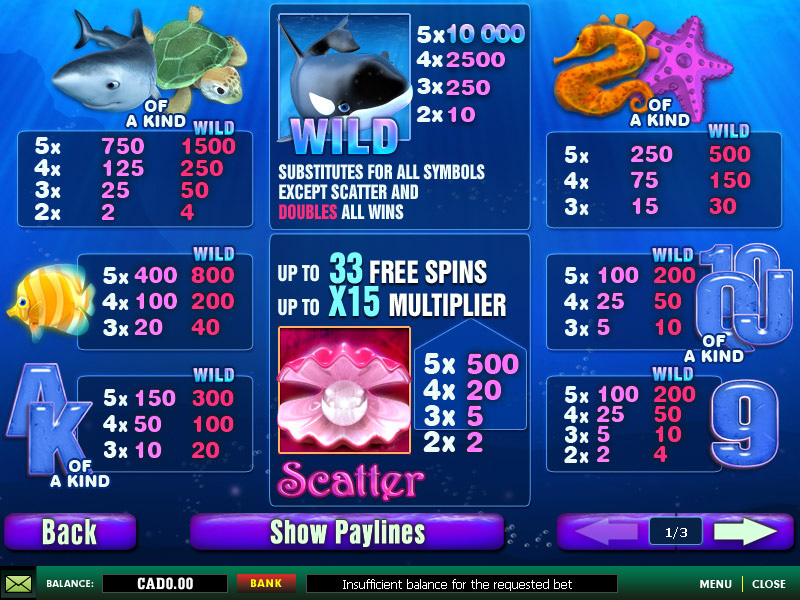 Great Blue features 25 paylines, stacked wilds on all reels that multiply winning combinations by two, and a free spins bonus feature. 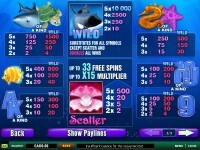 Free spins are triggered by 3 or more scatter symbols landing on the reels during a single spin. 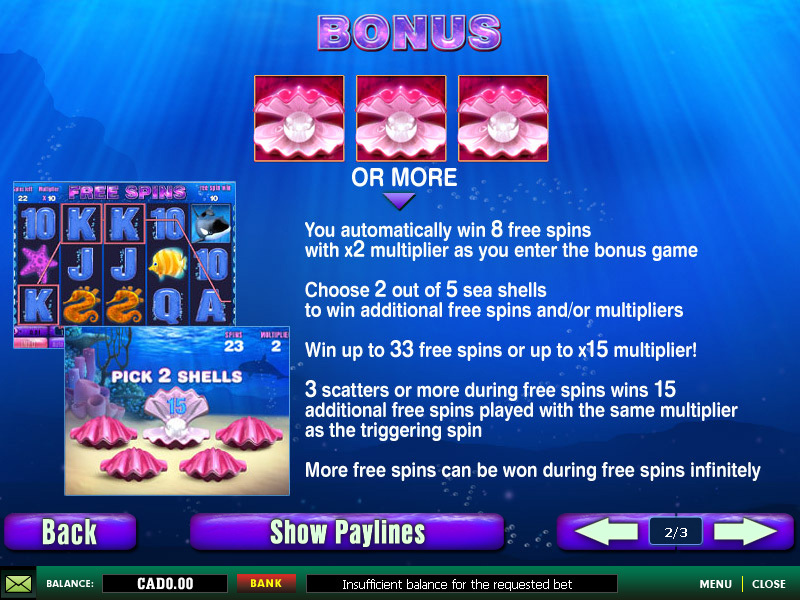 Starting with 8 free spins at x2, you are taken to a screen where you pick 3 of the 5 shells in view. Each pick awards either more free spins or higher multiplier, you could end up with 33 free spins with a x15 multiplier! This slot has potential for some very big wins, with stacked x2 wilds on all the reels it only takes one spin to put a smile on your face. 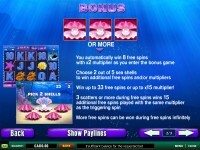 The potentially high multiplier in free spins on top of that can really generate some large wins. Of course, with that potential comes higher variance, meaning the wins don’t come as often but they are usually bigger. See the screenshots below for paytable information and one of my better hits on this slot. 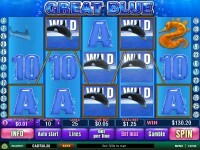 Play the Great Blue slot now at any of these trusted Playtech Casinos!